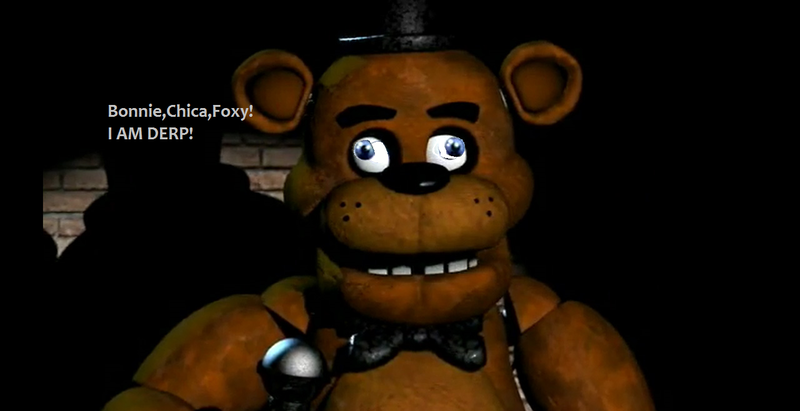 Derp Freddy. 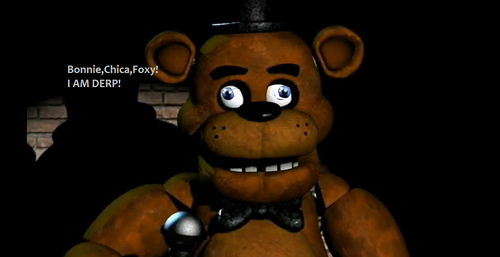 Lol,he want everyone (except Golden Freddy) to see him with his derp face. :P. HD Wallpaper and background images in the ফাইভ নাইটস্‌ অ্যাট ফ্রেডিস্‌ club tagged: photo derp chibi cute funny freddy fazbear fnaf five nights at freddy's chica foxy bonnie.